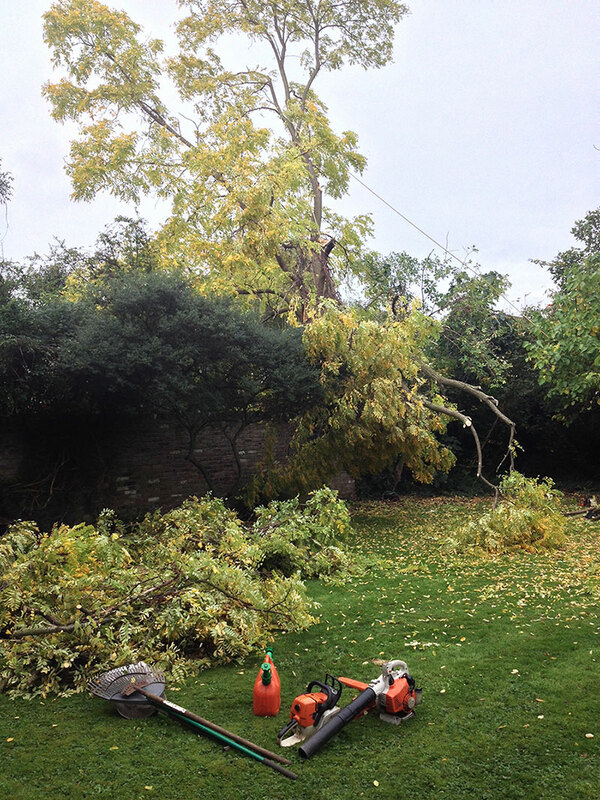 The storm winds that hit London and the south on Monday 28 October presented various challenges for tree surgeons. It is obvious that climbing in high winds can be dangerous, as can clearing up storm damaged trees. 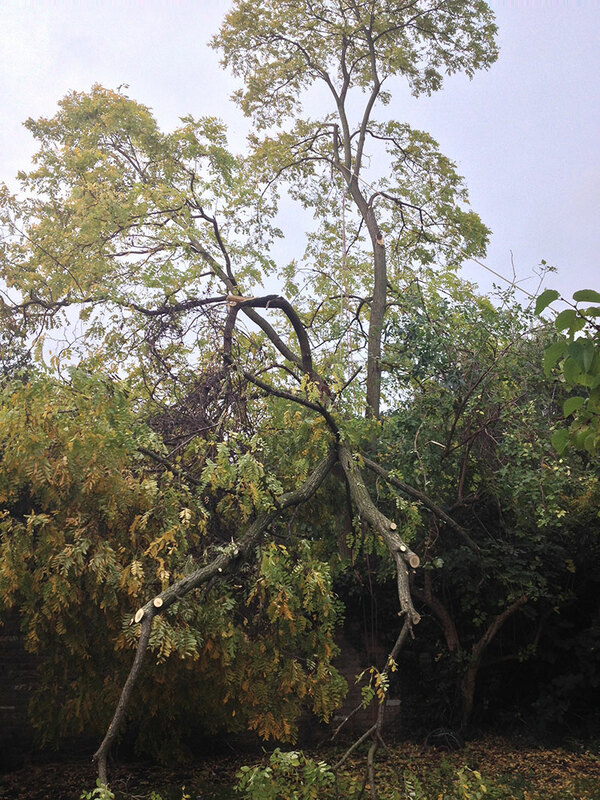 Falling trees and limbs can cause huge damage, especially in built-up areas such as London. The level of building development in confined spaces means that there is little space for falling trees. Clearing up hanging branches and fallen trees has to be done promptly to ensure that no further damage is caused, which can be difficult as it is hard to predict what will happen as the material is dismantled. Using ropes and anchor points allow us to control the weight of the wood and allows us to work safely underneath and prevents further damage. High winds can demonstrate how trees in urban areas need to be managed on and on-going basis. Operations such as tree reductions, removal of deadwood and tree thinning, can reduce the sail area of the tree and allow the winds to pass through the crown and limits the risk of limb failure. The presence of deadwood, crossed or suppressed branches can be very dangerous in high winds as they can be easily detached and fall to the ground. High winds can also have the positive effect, by limiting the amount of leaves there are to clear up over autumn! If your trees have suffered in the winds this year or have made made you consider the size and health of your trees, please do not hesitate to call for free advice and a free quotation for any necessary work.